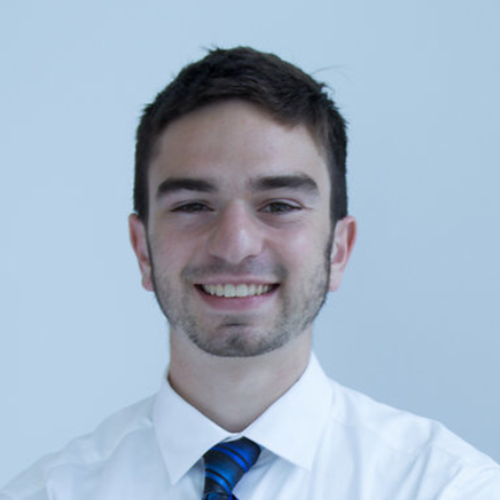 Nick hails from Rochester, New York, and is pursuing his undergraduate degree at Canisius College with majors in economics and mathematics and intends to graduate in 2020. Nick is heavily involved in campus affairs as a representative of his cross country and track teams on the Student Athlete Advisory Committee; a group geared toward expanding the voice of student-athletes on college campuses. Nick has also displayed his leadership abilities as a representative of all Canisius student-athletes on the Sexual Violence Prevention Team. He recently traveled on behalf of the college to Albany for a MAAC conference where NCAA policy and mental health initiatives were discussed. Additionally, Nick is the secretary of the Economics and Finance Club as he handles administrative affairs and general body member communication. Nick spent last summer immersed in customer service while he interned for Paychex in a call center to assist their 401k clients. He was also fortunate enough to be the recipient of the Paychex Scholarship. Nick will be studying abroad this fall in Galway, Ireland, and has a wide variety of career interests including data science, investment management, and law. After his undergraduate studies are completed, he plans to attend graduate school and someday own his own business.